INDUSTRY.co.id - Jakarta - Mandiri Syariah said net profit that can be collected amounted to Rp261 billion as of the third quarter of 2017, or growth of 6.04% (yoy) compared to the same period the previous year. Director of Financing Risks and Recovery of Mandiri Syariah Management Choirul Anwar said, with this performance, Mandiri Syariah has contributed to the community around the branch office through the program of giving blessings in the form of renovation of places of worship, places of education and scholarships to poor students. "Up to September, 300 branch offices have distributed Rp15 billion of the fund, which is 2.5 percent of the company's profit," he said in Jakarta on Thursday (9/11/2017). the financing was offset by improvements in financing quality as reflected in NPF Nett decline from 3.63% to 3.12%. FDR Mandiri Syariah 80% or in accordance with OJK provisions.
'' In 2017 in line with the national economic conditions, we focus on retail and corporate especially infrastructure with skim or akad shariah '' Choirul Anwar again. Furthermore, 10.28% (yoy) is supported by retail banking (including pawning, consumer and small and micro enterprises), which grew 9.59% from Rp30.35 trillion to Rp33.26 trillion, and the wholesale segment (Corporate and Commercial) grew 11.20% (yoy) to Rp25.45 trillion from Rp22.89 trillion per September 2016 position. The increase in financing resulted in a net profit margin growth of Rp544 billion or an 18.77% (yoy) growth to Rp3.44 trillion. 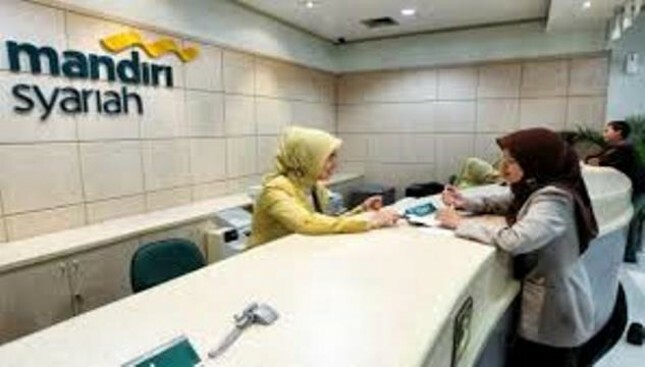 Furthermore, Choirul Anwar said that with the positive development, Mandiri Syariah operating profit increased Rp534 billion or grew 46.81% to Rp1.68 trillion.